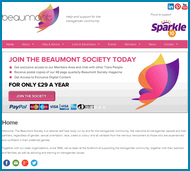 The largest and longest established transgendered support group in the UK - at the forefront of the transgender, transvestite, transsexual and crossdressing community since 1966! Based in Blackpool, Renaissance provides a safe and friendly environment for trans people (TV/TS/TG – M2F & F2M) to be themselves, meet like minded people, and make new friends. A voluntary organisation offering confidential and non-judgemental advice, information and support to all family members, spouses, partners and friends of transsexual people in the UK. Encompass is the new LGBT group for the North Wales and Cheshire area. It usually meets on the first Wednesday of every month at the Citizen's Advice Bureau Community Cafe in Connah's Quay. Information about the issues surrounding gender identity and transsexualism, and a resource for gender dysphoric people and their families; the medical and other professionals that provide their care; Health Authorities; Members of Parliament and other policy makers. The Registered Charity for adults throughout the UK who are Transsexual, Gender Dysphoric, Transgender, or those whose lives are affected by gender identity issues. A social support group for the transgendered in Gloucester and beyond. 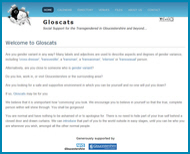 In conjunction with a well established Yahoo group, GlosCats aims to bring girls together socially for mutual support, advice and fun. 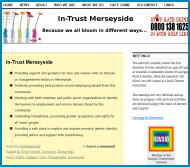 A group providing support and guidance for men and women with an intersex or transgendered history in Merseyside, and a safe place to explore and express personal gender identity. The group meets on the first Saturday of every month from at Waterloo Community Centre, St Georges Road, Waterloo. A Merseyside FTM peer support group for anyone on the FTM spectrum. They meet on the first and third Wednesday of the month in Liverpool (to attend meetings you must be aged 18 or over). A transgender social group that meets every Wednesday evening in Manchester as a venue for transgendered people and their partners. A group has been meeting as part of the Northern Concord in various venues around the Manchester Village since 1986. For many years the premier group in Northern England, Northern Concord no longer holds regular meetings but hosts Le Big En weekend once a year and issues the monthly Cross Talk magazine. The largest social support group in the West Midlands. Meeting on the 1st and 3rd Monday of the month at the Victoria Theatre Bar. Full details and information, links, gallery, location maps and event news are on our regularly updated web site. The Proud Trust is the home of LGBT+ youth (Lesbian, Gay, Bisexual, Trans plus other identities such as asexual, intersex or questioning. A discussion and support group for trans people, and anyone interested in a better understanding of transgendered people and their community - meets on the fourth Saturday of each month at the Lesbian & Gay Foundation (LGF) in Manchester. A voluntary self-help network, providing information and support for adults affected by issues concerning gender identity and cross-dressing. Formerly Sanctuary Stoke & Staffordshire, this group was set up by The LGBT Network in partnership with Gender Matters & Staffordshire Police to support people who are Transgender in Stoke-on-Trent & Staffordshire. International TV Repartee is the magazine for all who cross-dress, published by Rose’s, the largest membership group for transgendered people in the UK. Support and activities for LGBT young people, and those questioning their sexual orientation or gender identity. Serves North Wales, with meetings in Rhyl, Wrexham and Llandudno Junction. 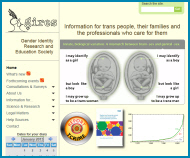 Useful links to other organisations that provide support and information on Transgender Issues. Dolenni defnyddiol i sefydliadau eraill sy'n darparu cefnogaeth a gwybodaeth ar Faterion Trawsryweddol.